George Best City Airport has a bar / cafe found inside the departures lounge. There are probably 101 jokes to be made regarding this facility and the airport name. Of course, this is the place to have a quick one before getting out of dodge. Have you got Google Earth on your computer? If so, then download the Google Earth view of George Best City Airport. Is this the wrong position for George Best City Airport? If you think so, then modify its position. 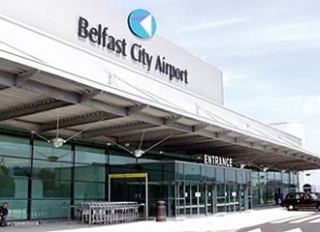 Click / Tap the button above to get directions from where you are to George Best City Airport. Excellent atmosphere, wonderful surroundings, a great night out, recommend it to anyone!